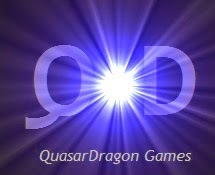 QuasarDragon: Free Fiction - The Appetizer Round. Free Fiction - The Appetizer Round. • At Daily Science Fiction: "The Witch's Cat" by Kalisa Ann Lessnau. Fantasy. "We knew the witch was dead when her cat showed up on our doorstep. Mom found him sitting patiently beside the morning's milk delivery, like he was waiting for his share of the cream. She only called to Dad, but the tone of her voice got us both up from the breakfast table until we all stood in the entryway to stare at the cat." • At Tor.com: "The Lady Astronaut of Mars" by Mary Robinette Kowal. Science Fiction. "She would have been a little girl and, oh lord, there were so many little kids hanging around outside the Fence watching us work. The little girls all wanted to talk to the Lady Astronaut. To me." • At Tor.com: "A Rumor of Angels" by Dale Bailey. Historical Fantasy. "That was a season of mysteries. Day after day, a slow tide of humanity streamed down the rutted track that ran not two hundred yards from the boy’s door, driven alike by hope and despair. Before them California and the dream of a better life, behind them drought and devastation." At Chilling Tales for Dark Nights: "Masterpiece" by Anonymous, narrator Jordan Antle. Horror. Audio. At Nature: "Lacunae" by William Meikle. At 365 Tomorrows: "Jigsaw" by Jae Miles. Science Fiction. • At Fantastic Worlds of Edgar Rice Burroughs: "Episode 10 (Final) - Out Of Time's Abyss"
"Chapter V, Part Two Bradley and the girl have made their way back to the mainland of Caspak. Unfortunately, they are now quite far from the land of the Galus, the girl’s home. Making their way, they come upon the evil German crew and the U-33 – and the rest of Bradley’s party now captive. A battle royal ensues, with Von Schoenvorts managing to break free of Bradley and seize him by the wrist." - Earlier chapters nine, eight, seven, six, five, four, three, two, and one. Fiction at Project Gutenberg: The Phantom Town Mystery by Carol Norton. 1933. Flash Fiction at Every Day Fiction: "The Teddy Bear Who Was Hitler" by Carl Steiger.